During his career John has had many hats including – salesman, entrepreneur, manager, programmer, strategist, database/network administrator and consultant. Over the years he has gained a unique ability to overcome complex technology challenges involving today’s platforms. As Director of Information Systems at Lopez Wealth Management, John uses his skills to create a path that will constantly keep Lopez Wealth Management at the fore-front of technology. John's past experience as a Computer Consultant and Network Administrator have taught him to program in PHP, ASP, JAVA, HTML, and VB.Net. 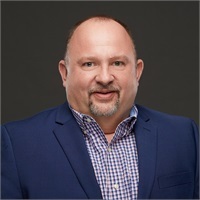 Additionally John's experiences range from building and selling his own brand of computer systems, to managing mid to large-size company networks, backups and databases. In the early 2000's John was in business for himself and owned his own consulting firm, Office Computer Professionals, LLC, where he provided technical consulting and computer systems to Lopez Wealth Management until he sold his business in 2012 after many successful years. John is able to build rapport with clients quickly, and has a personal goal to build long lasting relationships with them. He also has the goal of providing top notch customer service to everyone.